On Friday, 18 May at 6 PM, Maggie Middleton will lead a tour of Amir Yatziv and Guy Slabbinck’s exhibition Standby Painter on level 0 of the air-raid shelter in Plac Strzegomski 2a. Maggie Middleton, a graduate student at the Wrocław Academy of Fine Art, will lead a tour and discussion of this exhibition to introduce the topics of replication, value, and ownership of art that is explored in the art works. This tour is an opportunity to think about the works at hand in more depth and to have context about their creation. This is not a formal lecture but instead more of a dialogue or guided discussion about how the works function and mean to you. This guided tour will be conducted in English, and all are welcome! Any item increases in value when it is lost. The interest in stolen works of art (recovered or not) is significantly greater than in those which have never been stolen. Their stories enter our pop culture. They are recreated and recycled in various ways, reproduced an infinite number of times. Thus they become part of the media flow, giving them a reach far beyond museum halls. 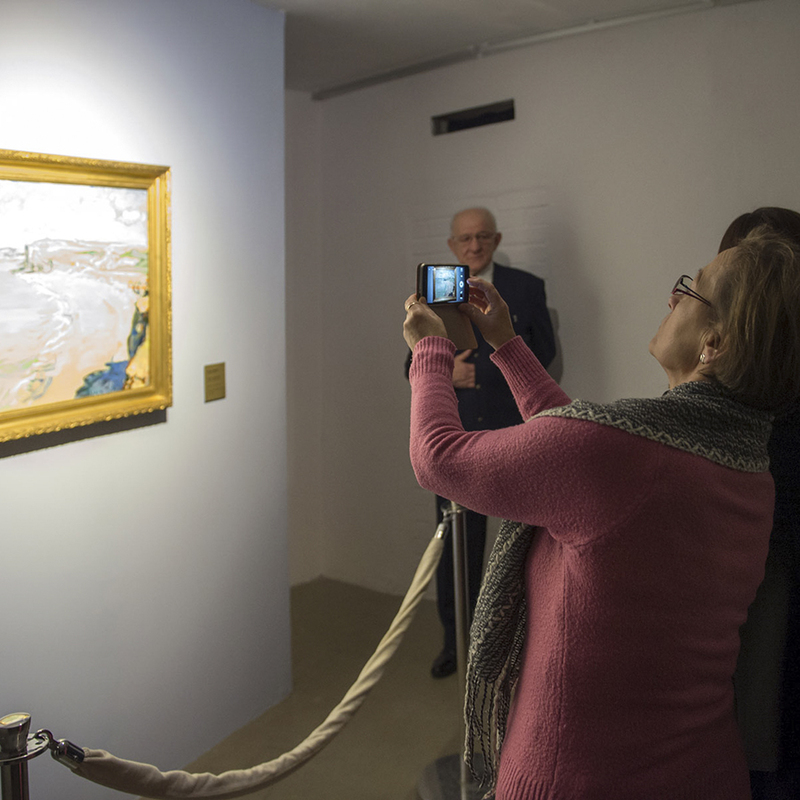 Artists Amir Yatziv and Guy Slabbinck situated the theft of Claude Monet’s Beach in Pourville, stolen from the National Museum in Poznań in 2000, at the centre of their exhibition. Can a painting possess a human being? Is a person who copies the work of a “real” artist – an artist? What is the contemporary status of an original artwork? What is the function of a museum in making art available to the general public? These are some of the questions posed by the exhibition. Maggie Middleton is a printmaker and artist from the US. She is currently studying for her MFA in Printmaking at the Eugeniusz Geppert Academy of Art and Desing in Wrocław. She received her bachelor’s degree from Oberlin College where she graduated with High Honors in Studio art. Her current body of work revolves around the concept of “camouflage,” both in the sense of disguising ones-self and also the highly politicized and gendered fabric.